The internet loves a cheesy inspirational quote but we’ve found that some of these quotes serve to reinforce outdated or unhelpful mindsets. 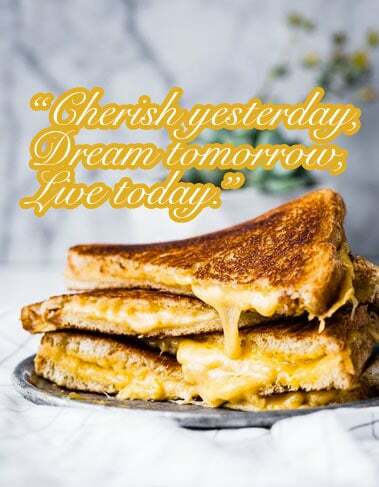 Check out a few cheesy inspirational quotes that inflamed our psychological sensibilities, and the healthier, dairy-free alternatives we recommend. 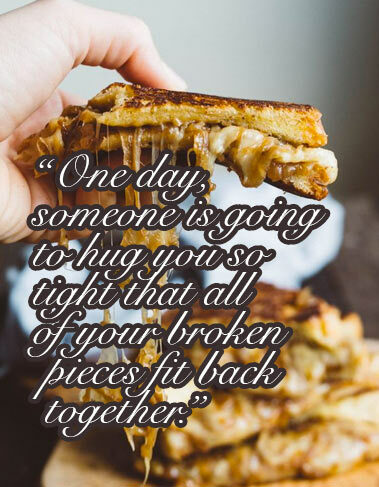 However, the Internet does run rampant with them and it’s come to our attention that some of these “inspirational” quotes aren’t just cheesy, but serve to reinforce outdated or unhelpful mindsets. When these mindsets are replicated and perpetuated, they become normalized, and can easily endorse unhelpful thoughts & behaviours – thoughts & behaviours that might be restricting us from being the best version of ourselves or build up unreasonable expectations. 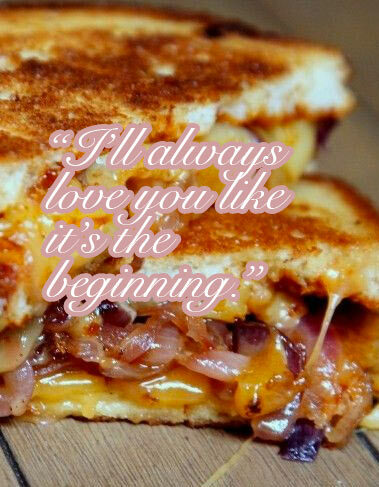 So we’ve decided to serve up some cheesy inspirational quotes that have inflamed our psychological sensibilities, and recommended some healthier, dairy-free alternatives. This is vague and unhelpful and just plain confusing (“dream tomorrow” what does that even mean?) The notion that we have to blindly “cherish” our past can hinder us from learning and growing from it. Daydreaming of tomorrow, and over what we wish our life was like, reinforces a mindset of lack. While dreams are important, they don’t help unless they inspire real action that can help bring those dreams to life. Another popular myth that gets circulated is that we can find peace or healing through another person. While this is a beautiful and romantic notion, it completely ignores the fact that true healing & growth are personal journeys, that must come from within. You should not seek out someone to help put your “broken pieces” back together (unless that person is a qualified surgeon). Instead of putting your faith and recovery on the shoulders of others, take back the power and recognize your own strength. Be in charge of your own therapeutic journey. 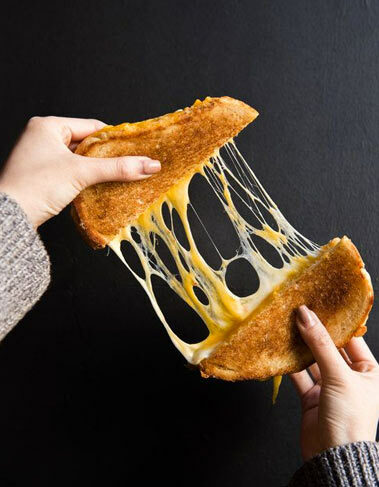 Bet you feel like a grilled cheese sandwich now. 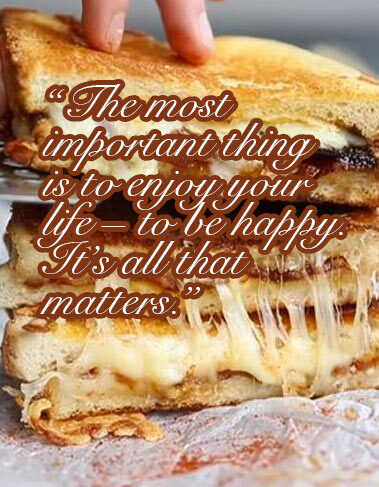 If you want some legit inspirational quotes that we swear by, be sure to follow us on Instagram. If you’re curious to learn more about therapy & our practitioners, you can find more info here.